Home > Will a divorce void rights to a life insurance policy? When you are facing a divorce, financial questions are paramount. 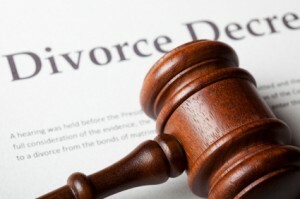 Alimony, child support, and division of property are all very important issues facing you and your ex-spouse. However, many divorcing couples completely forget about life insurance policies that may be in existence on each partner, and do not think about who benefits from those policies. It is important to consider life insurance questions just as you consider your other financial concerns in a divorce. When a couple divorces, it has no effect on an existing life insurance policy if no changes are made directly to the policy. If, for example, a husband’s life was insured with the wife as the beneficiary, and the policy is not changed, after the divorce the policy will still show the wife as beneficiary, and she will receive the proceeds in the event of the husband’s death, even if he remarries. If the children are named as beneficiaries with the wife as the trustee, then that situation will not change after the divorce unless the policy itself is changed. Changing a policy is a fairly simple procedure, usually requiring only a signature by the owner of the policy. In some situations, it is best to leave the existing terms of the life insurance policy in place. If there are minor children as a result of the marriage, the parents obviously want to provide for those children. Children cannot inherit life insurance proceeds individually until they reach the age of eighteen, so they must have a trustee to manage the money for them. In many cases, the ex-spouse is the logical choice for this responsibility. In other circumstances, however, the owner of the policy may feel that the ex-spouse would not be a careful custodian of life insurance benefits for a child. In that case, it is very simple to change the trustee of the life insurance to a sibling, parent, or other responsible adult. It is also possible to craft the policy so that the minor children can inherit the proceeds outright once they reach legal age. If the spouses agree, ownership of an existing policy can be changed so that the payments become the responsibility of someone else. It is important to remember, however, that once ownership is transferred, the new owner has complete control over the policy, and can make changes at will, including persons named as beneficiaries and the amounts paid to each beneficiary under the policy. Another situation that frequently arises in divorces is one in which an ex-spouse is providing support and maintenance for the former family members. If an ex-spouse is paying child support, alimony, or providing other benefits, it makes sense to insure the life of that parent to protect the financial well-being of the children. However, it is illegal to take out a policy without the consent of the insured, so the divorcing couple must agree on who will pay the premiums and how the proceeds will be distributed. In some cases, however, the spouses cannot agree on such terms, but the dependent spouse may need insurance to protect the minor children. In cases in which agreement is not possible, the insurance company in question may allow a former spouse to insure the life of an ex-spouse without his or her consent, but only if the former spouse can prove that he or she has an “insurable interest” in the proposed policy. Insurable interest simply means that the former spouse and any minor children are dependent on the income from alimony, child support, or other benefits, and would suffer if the life of the provider is not insured. If this is the case, and the ex-spouse will not agree to the terms of a policy, it is possible that an insurance company may allow the policy to be issued regardless of consent. However, if a medical exam is required, the ex-spouse will have to agree or the policy cannot be issued. One other situation that is fairly common in divorce is when the children have been insured by the parents, either through a whole-life growth policy or a term policy. These policies will also not change as a result of a divorce, and the beneficiary, whether one parent or both, will remain the same unless it is changed. Although divorce has no effect on existing policies, it is important to remember that premiums are the responsibility of the owner. If premiums are not paid on a life insurance policy, it can lapse, and the benefits may not be paid if the insured dies.